We live in a hyper-connected world where communication is almost effortless. And yet, despite abundant connection, we still lack interpersonal fulfillment. The next challenge, then, is not increasing the number of relationships possible, but developing the caliber and depth of those relationships. In other words, it’s now a matter of quality over quantity. Can we use technology to better understand and facilitate relationships? Might we even apply these tools to romantic relationships? Could we design an AI-based algorithm that connects us with exactly the kind of person we would fall into mutual love with and ignite a happy relationship? Never have we had so much information about people and what they want. The secret to love may well be in the numbers, and a potent combo of AI and big data could be the matchmaker to end all matchmakers. In 2013, the American National Academy of Sciences reported that over a third of people who married in the US between 2005 and 2012 met online, half of them on dating sites. As the number of users grows, new tools are emerging to facilitate and automate this process and manage the data deluge. When it comes to big data, AI is the perfect tool for the job. Machine learning can find predictive, causal or correlative patterns between variables beyond human limitations. Relationship scientists and dating sites are starting to see how it can be a powerful tool in connecting potential love birds. Matching algorithms honed and perfected by psychological and sociological research sift and compare the personal data for over 20 million users. According to Jason Chuck, a managing director at eHarmony, these algorithms are constantly being improved and tweaked across hundreds of variables. Clearly, we already live in a world where machines play a critical role in love. And as the data pile grows and the algorithms get smarter—something happening at a quick pace—it’s not so far out to suggest machines won’t just make relationships happen—they’ll consistently make them successful too. But it might be awhile before we toast our favorite, infallible matchmaking AI at the wedding. One of the biggest challenges to utilizing big data algorithms in online dating naturally comes from the fact there isn’t a simple recipe for love. Why do we fall in love with some people and not others? Why do some romantic relationships make us happier than others? Why do some last and some don’t? Anyone who has attempted to objectively study and analyze the science of romantic love can tell you the answers to these questions are not simple and are often a result of hundreds of societal, personal and potentially genetic factors. Above all, they are very difficult to generalize and extrapolate across different personalities, nationalities and cultural backgrounds. Even more, short-term attractions do not always lead to long-term compatibility. To determine whether two individuals will continue to be compatible and in love over an extended period of time is an enormous challenge. But this is where big data analytics and the latest machine learning tools can be of some help, by allowing us to find novel predictive patterns about why some relationships succeed and others fail. That is, the old way of writing matchmaking algorithms would require the software developer sketch out every causal connection—and to do that, they’d need our nonexistent general theory of love. Emerging machine learning techniques, however, do this footwork for themselves. Given a particular goal and a massive amount of data, they can learn to find connections without being explicitly programmed to do so. Of course, this still leans heavily on the data itself. And the truth is, dating data is sure to be messy. Individuals will not be entirely truthful in how they represent themselves. Many users may not have the self-awareness to accurately answer questions about their personalities and the kind of potential partners they think they are attracted to. Objective data gathering tools can help resolve this issue by gathering clearer data about personalities and preferences, as opposed to them being self-reported. But the perfect love algorithm is yet out of reach. Even so, is it a worthy goal? If Webb is right, advances in relationship science, data-mining algorithms and machine learning may make finding love almost effortless. Perhaps, this will take away from the beauty of love for those seeking it. Unrequited love, heartbreaks and painful breakups have plagued humanity throughout history. Yet, many will argue it is the pitfalls of romantic relationships that make the successful ones so special. It is difficult to deny, however, that mutual love and happy relationships make us happier and more fulfilled as human beings. And if big data analytics can make true love more accessible, reduce the rising rates of failed relationships and maintain happy ones—then why not continue to improve and invest in those tools? 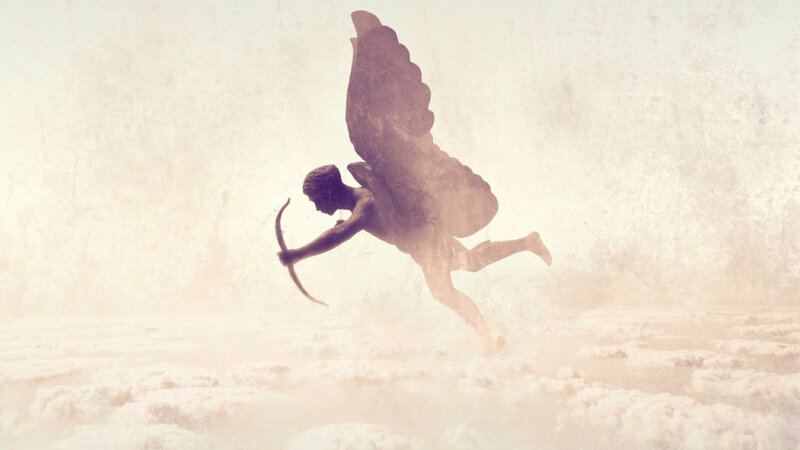 For all we know, Cupid could simply be a match-making algorithm.